At Macclesfield Roofing we take great pride in being a local company who provide a comprehensive roofing service. Installing fascias, soffits, guttering and barge boards for that modern, clean and finished looking roof. Macclesfield Roofing offers profiles designed to look like mahogany, oak and rosewood. We can guarantee against the fading of our roofs for 10 years. Our high quality products are supplied and fitted by the experts at Macclesfield Roofing, and will give the exterior of your home a whole new look. 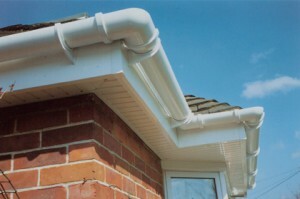 This will help keep your roof in great shape and can help prevent any damp. Based in Macclesfield, we are ideally located to provide customers in Macclesfield, Congleton and Wilmslow with our services in roof repairs, slating, leadwork, tiling, flat roofs and torch on felt roofing. For more information about Macclesfield Roofing, call us today on 01625 427 581.